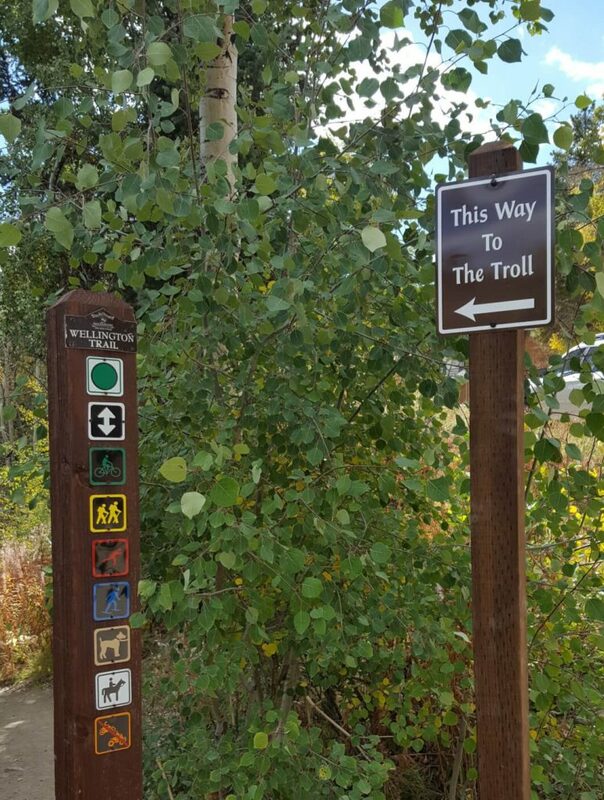 Breckenridge Troll Walk - Come adventure with me. 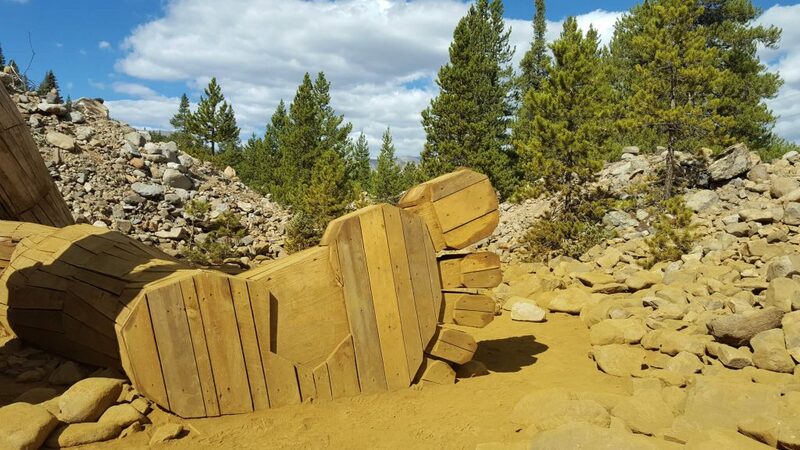 A fun walk for families and adults alike to the Breckenridge troll awakens your child-like adventure and rewards you with imagination and intrigue. And it’s fairly easy and short. A bonus! Watch this video of the approach. The Breckenridge troll’s name is Isaak Heartsong, and he was fashioned by Danish artist Thomas Dambo. 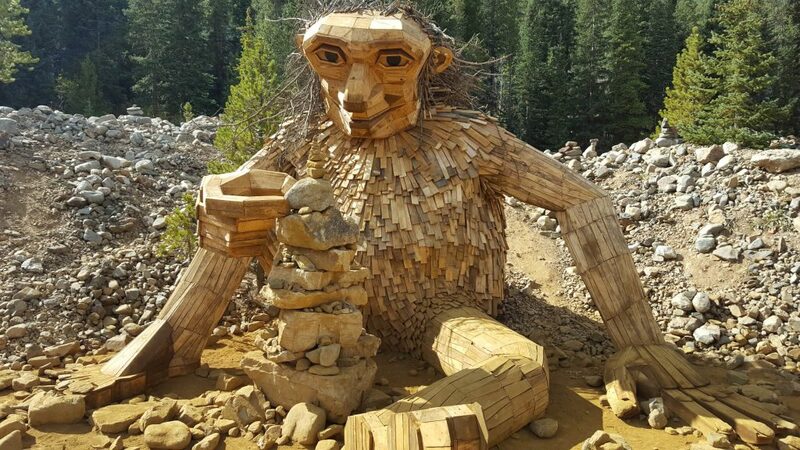 Together with volunteers who gathered scrap wood, Dambo created this 20-foot giant that has a kind heart made of stone. 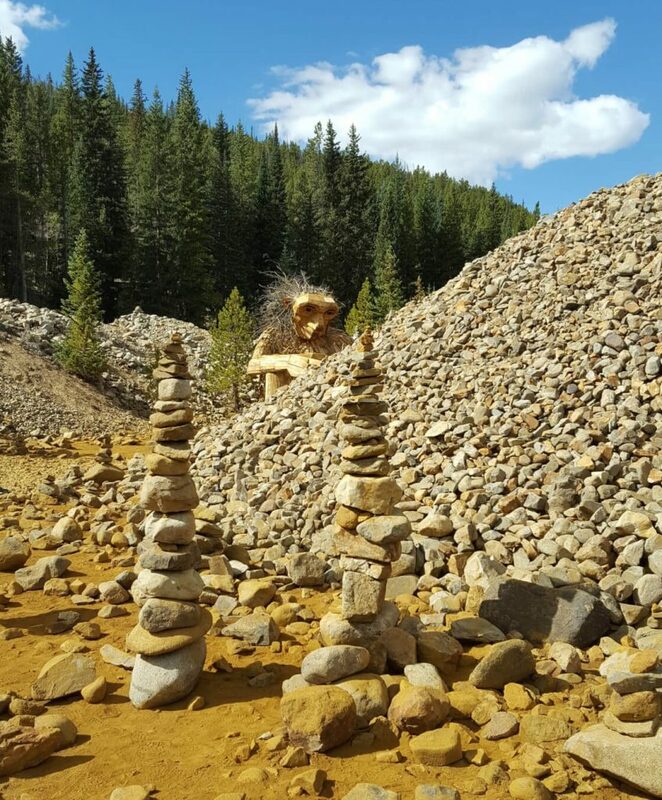 It sits in a rock quarry, gathering stones and creating beautiful cairns to balance against the back drop of pine and aspen. 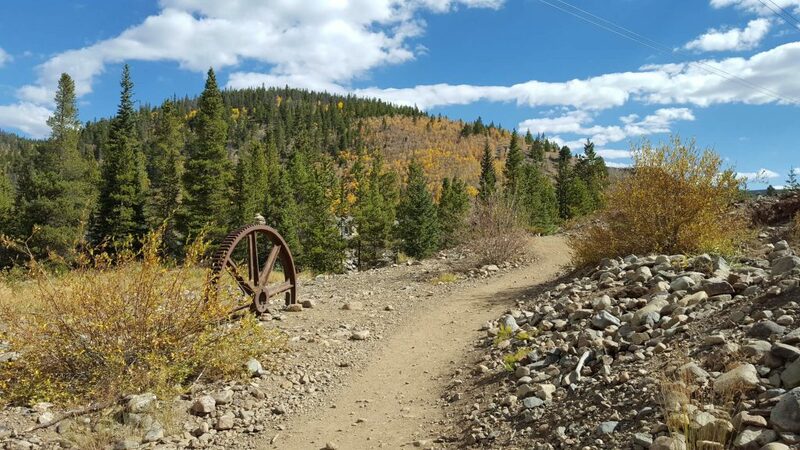 The undulating trail of less than a mile starts across from Breckenridge’s bike park next to the Wellington neighborhood. Signs easily point the way (“This way to the troll!”) down the East Wellington trail whose trailhead is across from the bike park. Parking is easy. Point your GPS to 710 Wellington Road, Breckenridge (off Stables Rd. and behind the Breckenridge Equestrian Center). Head on the trail toward the neighborhood and away from the bike park through an aspen grove (best for fall color in September! ), across a stone path, through a pine forest, and into a rock quarry. Follow the “Troll this way” signs all the way around the piles of rock until you see Isaak’s head popping up through tall cairns and rock piles. You may need to take your turn to take a picture. In the meantime, scramble the piles, do a bit of mini-bouldering, and get your hands and clothes covered in fine clay silt. Or just wait your turn, stay clean, and take your selfie. See if you can get an angle that no one else has yet enjoyed. When you’re finished enjoying this heart-warming giant, his wickedly delicious stick hair style, and his charming grin, head back along the trail. Either walk into town for another couple of miles, or drive to Main Street and grab some lunch. The best bite in town? 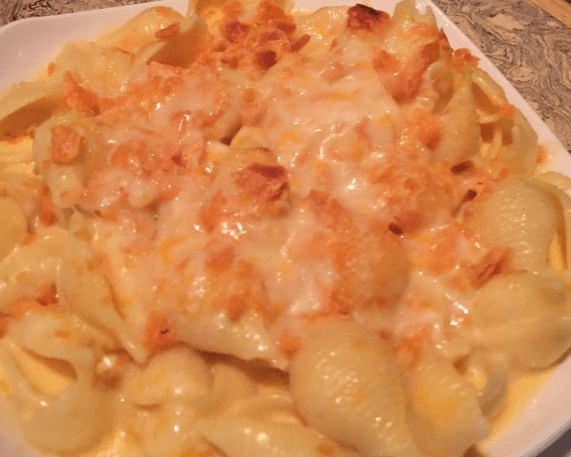 The mac n cheese at The Canteen, which *I’m sure* is what Isaak would eat. It’s troll-ific. Enjoy your walk to the Breckenridge Troll, and post your pictures below. What did you like best about the Breckenridge troll walk? Where do you want to travel? eat? adventure? In order to underwrite this blog, there may be sponsored posts, advertising, or affiliate marketing.